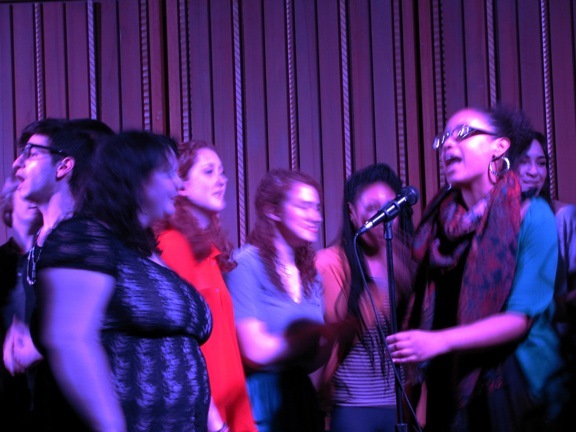 Lift Every Voice, Skidmore's Gospel Choir, sings at their Soul Food event. 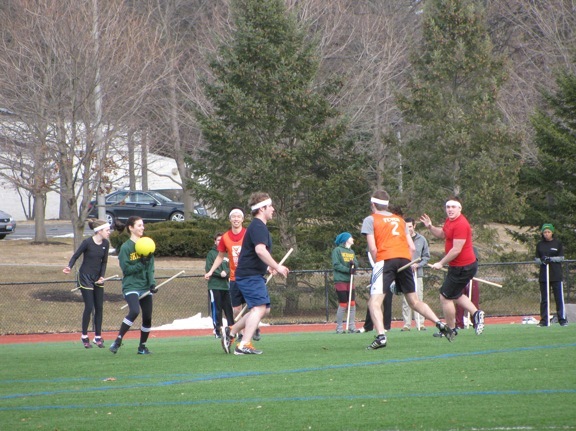 A little Skidmore Quidditch practice? Enjoying the sun on the green. 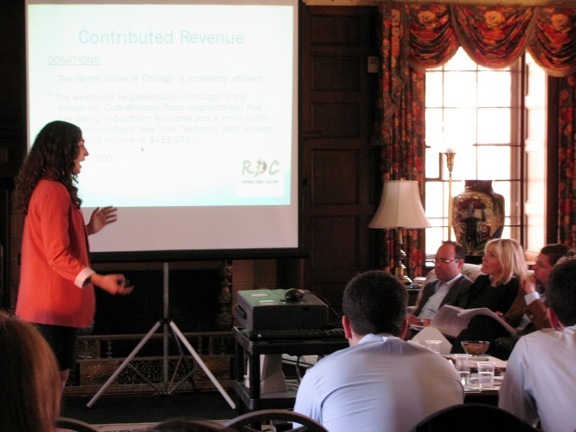 Hattie Young '12 presents her plan for Rephrase Dance at the Kenneth Freirich Business Competition. She came in 3rd -- congrats! 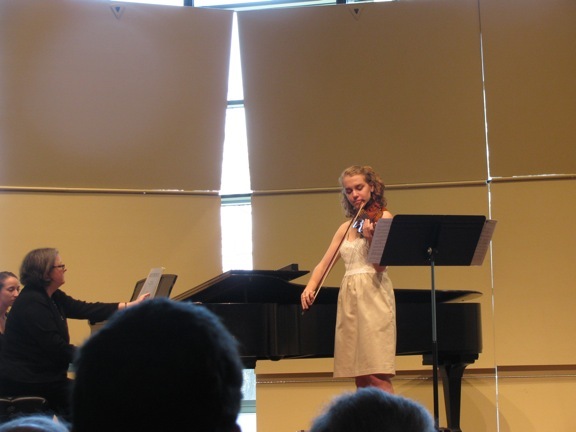 Victoria Vitale '12 plays (beautifully) at her senior violin recital. 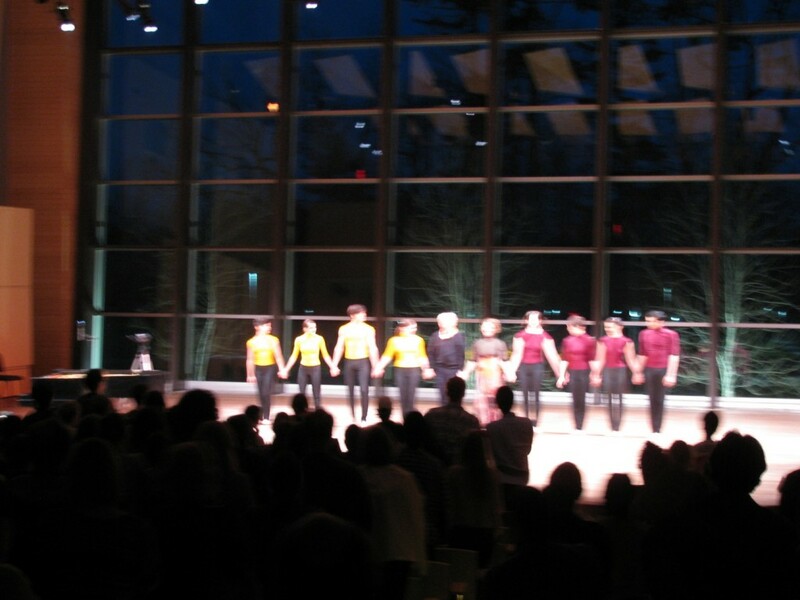 The dancers from 'Keeping Company with Cage' take a bow. 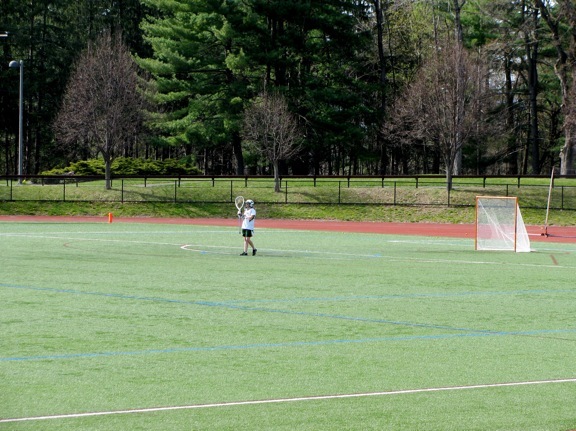 Rae Klein '12 tending goal for women's lacrosse -- woooo! 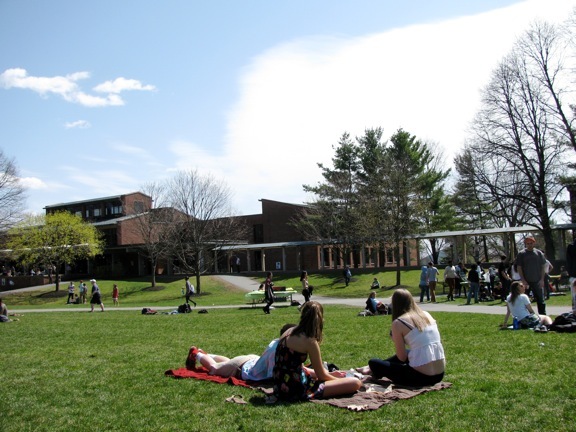 This entry was posted in A Day in the Life and tagged skidmore college on April 29, 2012 by Molly O'Brien.